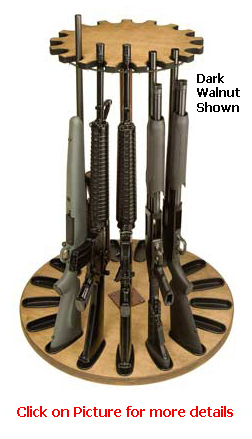 Rotary Gun Racks for the Sportsman, Collector, Dealer, Military, Law Enforcement, etc. Our Products are only sold here on this web site. 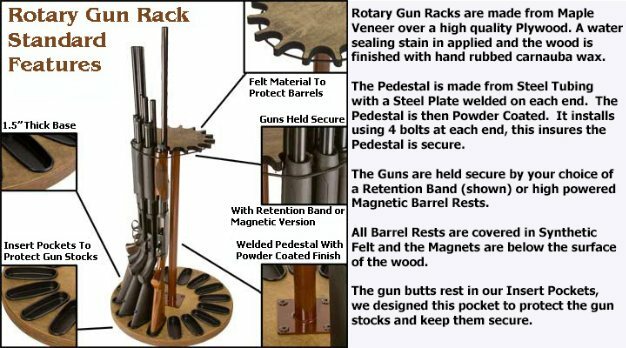 -Magnetic Rotary Gun Racks use high powered Magnets to hold the guns secure in the Barrel Rests. The Magnets are below the surface of the wood and Barrel Rests are covered in Synthetic Felt. 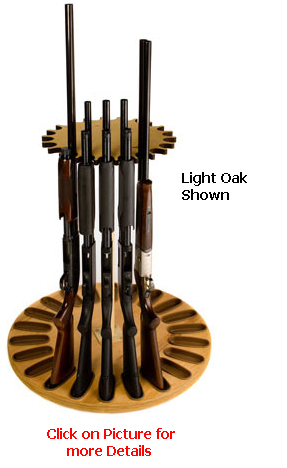 to hold the guns secure in the Barrel Rests. Synthetic Felt covers the Barrel Rests. 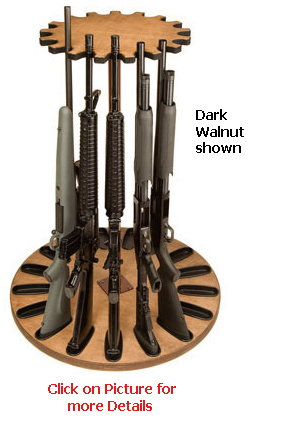 Magnetic Rotary Gun Rack Review - Click to Play!!! 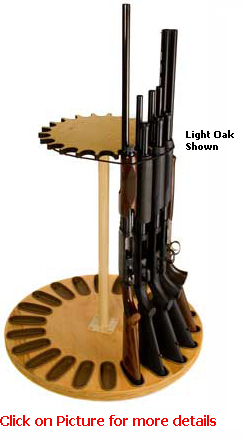 -Fits narrow guns / Shot guns, Lever Action, etc.